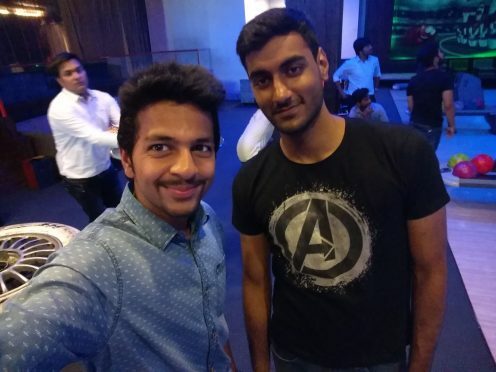 About the Author: Gurleen Sethi (the one in black T-shirt) from Jaypee Institute of Information Technology shares his internship experience at Ted Consultants as an Android developer. In March 2017, I was looking for a summer internship. Previously, I had done 3 virtual internships which boosted my chances of landing an internship that I was looking for. I had already achieved success on Internshala platform, and so I decided to try it again. I looked for openings in the field of Android Application development and started applying. A few weeks later, I looked at the application status and found that I was shortlisted for many but couldn’t convert any. Not taking any chances, I unwillingly decided to reach out to my relatives who were working in the IT industry and requested for their help. Surprisingly, this method worked. I got offers from two companies, one of them was a startup, and the other one was Indian Oil Inc. The name spoke for itself, and I decided to intern at Indian Oil; I was jubilant. After a few days, one of my teachers told me that interns are not given much work at Indian Oil. Being a government corporation, they are obliged to hire a certain number of interns. I was disappointed. Although the brand name was prestigious, I didn’t want to waste my summer just sitting in a chair doing nothing, and so I turned it down. And so, I was back to where I started – Internshala! Q1. If a rope burns in 60 mins, how would you calculate 30 mins? Q2. Using a 5-litre and a 3-litre jug, how can you end up with 4-litres of water. Q3. Given 6 matchsticks of equal length, make 4 equilateral triangles without breaking, bending, or splitting the sticks. Then came the real test, I was required to design a timer application which could work in the background. It was a tricky challenge but I was able to complete it in 30-45 minutes. The CEO was happy with what I had produced and the overall interview process in general. We had a chat in his office, and I was asked to wait for 2-3 days before the results were announced. After about 3 days, I called him to ask about the results. When he told me that I was hired as the Android developer, I was ecstatic! I was given the responsibility of developing 2 end-to-end applications from scratch while continuously referring to the old one. These applications are live on Play Store and are being used by thousands of people. The old application had many bugs and didn’t receive a good feedback. I was required to study why that had happened and solve the problem. I completely reformed the UI and added many features that made the whole process more intuitive. Apart from application development, I worked with 2 web developers and was involved in actively designing a new architecture for the cloud platform that backed the client applications. I wasn’t treated as an intern but as a full-time employee and a part of the company. I worked on many interesting projects which required me to work out of my comfort zone. The best part of my internship was working with my guide and mentor, Mr. Arubind Sharma, and I learned a lot from him. I significantly increased my knowledge of Android Development. This internship has added to my development toolset from new software architectures, new API’s, working with various phone sensors to learning a new programming language (Kotlin). I experienced how it feels to work full-time for a startup. It can be frustrating at times, but if you love the work you are doing, then each day brings a new challenge which makes the day more exciting and fun. I learned the importance of discipline, one of the biggest factor that can make or break things. I also learned the invaluable skill of interacting with other people, especially the working professionals. It takes a slightly different approach when blending in with fellow employees than blending with friends. Turning down some big companies might seem foolish, but it was the right decision. My internship experience at Ted Consulting was invaluable, and I will never forget it. Excited by Gurleen’s journey? Check out these latest Android development internships and begin your own journey! It was such an amazing explanation! Learned a lot through this blog production.